Here at Dental Solutions Lymm we take a unique approach to dentistry – attracting a highly talented team of dentists and specialist dentist Warrington to work with us so you never have to leave the Practice. We are located 5 minutes from the M56, M6 and M62 motorways in the lovely village of Lymm, there is free parking right outside the Practice. You can find out more about our practice with this introduction video. Watch our video testimonials from patients who talk about the practice from their own perspective. 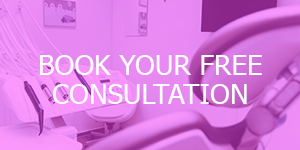 We also offer a range of payment options including interest free credit to ensure that your treatment is affordable and tailored to your individual circumstances. Gavin Laidlaw, the Practice’s principal dentist and member of the BACD has also attracted a team of high calibre dentists from the world of orthodontics, endodontics and implants to ensure the very best treatments are available to all our patients without having to leave the practice. A full range of dental treatment options are available to patients, from orthodontics, invisible braces and implants to crowns, veneers, and tooth whitening. We also offer facial rejuvenation treatments including Botox and fillers. Dental Solutions has always provided dental treatment to a very high standard, meeting and exceeding industry guidelines for care, customer service, and hygiene. Much care has been taken with every aspect of the practice to ensure that this is achieved. 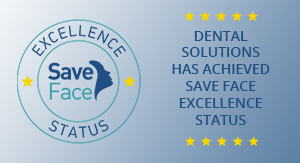 Dental Solutions has won national industry awards and has been accredited by the BDA Good Practice scheme and CQC. 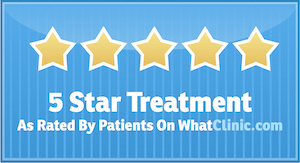 The large team of dentists Warrington, dental hygienists, and supporting professional staff are committed to maintaining this high standard with regular continuing education to update their knowledge and skills and the use of high-quality support services. Utilising up-to-date techniques and materials they are constantly striving for excellence in dental care for patients. The practice happily accepts nervous patients as they are usually very quickly put at ease by the team’s friendly and caring manner. As well as offering general and routine dental treatment, the practice’s principal dentist, Gavin Laidlaw, has a special interest in cosmetic dentistry. Gavin treats a number of Granada television stars from such programmes as Coronation Street and the practice is pleased to care for Premier League footballers and well-known faces from the media world. 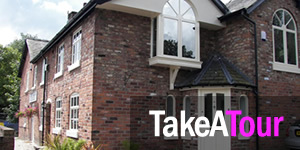 Please call us on 01925 756565 or complete the form below to arrange your free initial consultation.